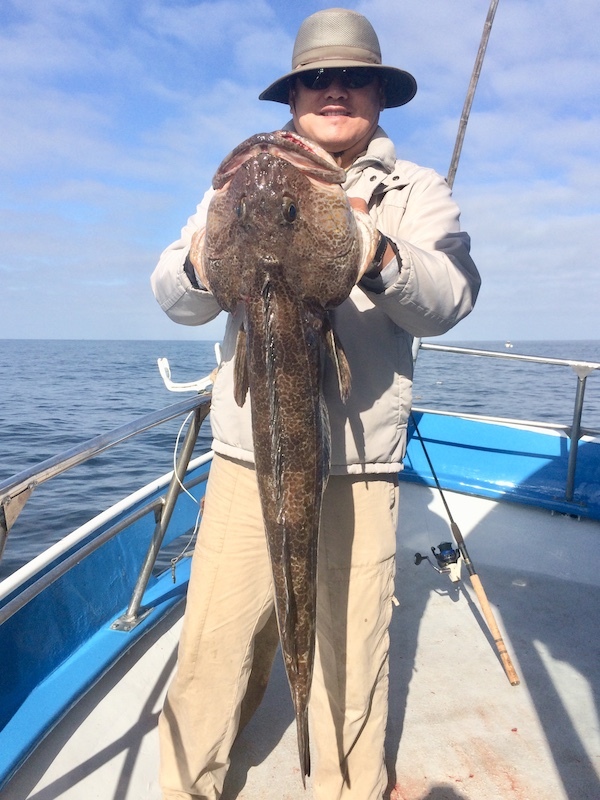 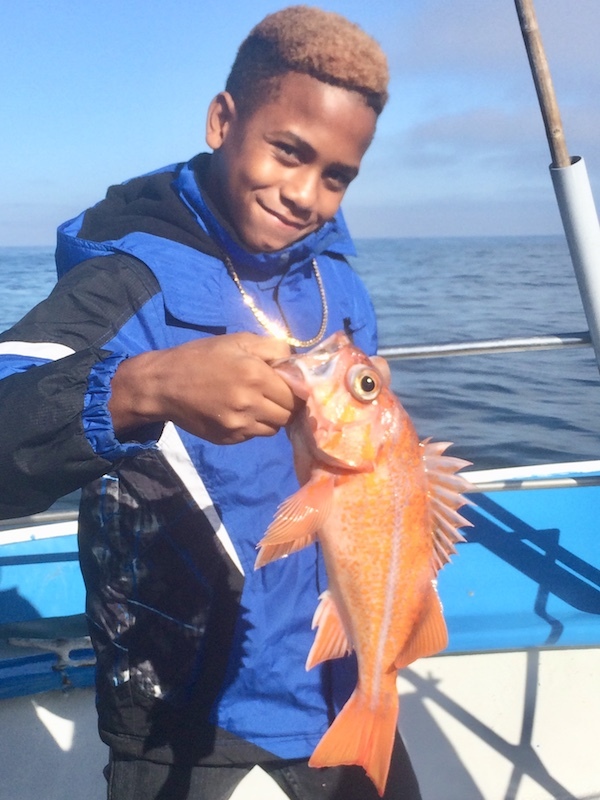 Huli Cat out of Half Moon Bay went rockcod fishing off of San Gregorio. 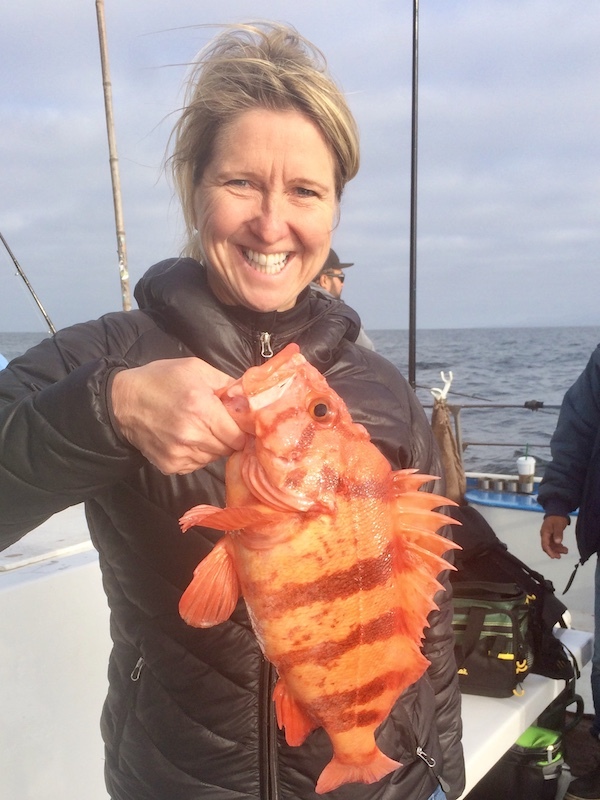 Kerstin Rosen from Palo Alto with a 2lb tiger fish caught on shrimp flys. 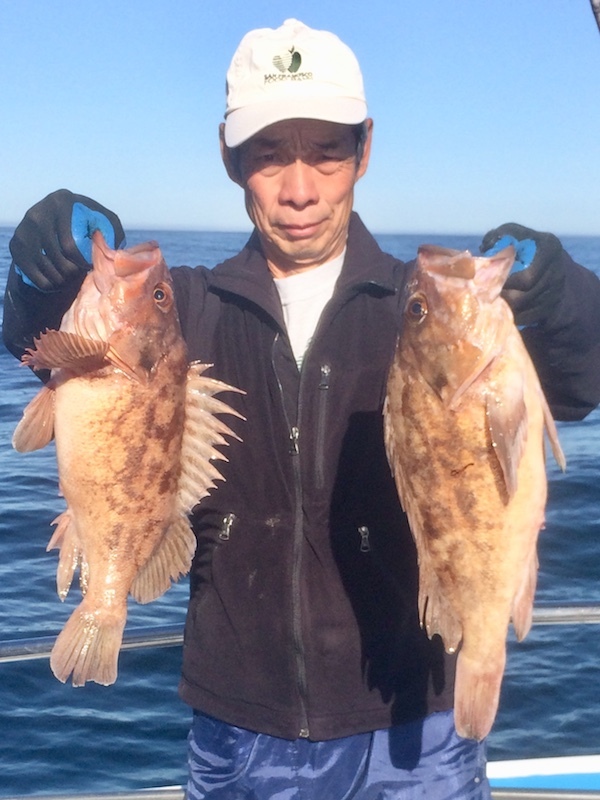 Ken Liu from San Francisco with a 19lb lingcod landed on a swim bait, and Mike Wiens from Brentwood caught 2 lingcod on shrimp flys. 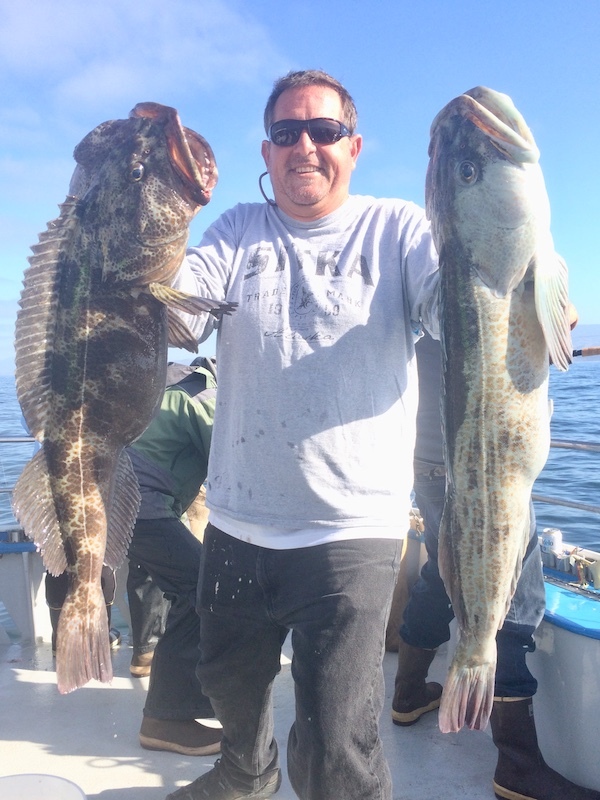 Ocean conditions are calm with a slight breeze.